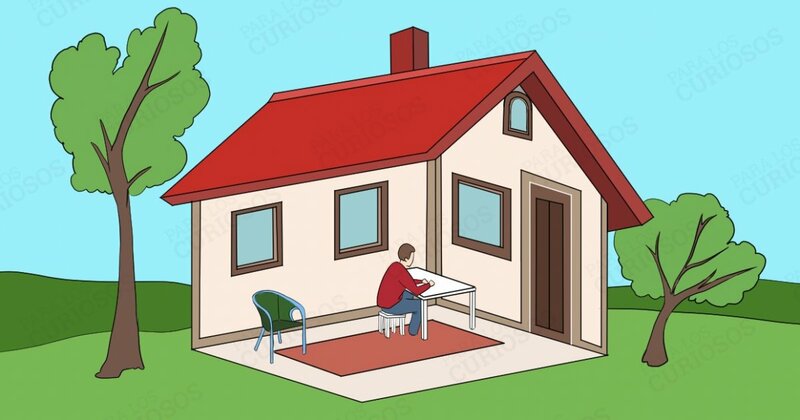 In this personality test, you will have to take a look at the image below and decide if your perception sees him inside the house, or outside. As you can see, it is a special image. There are no right or wrong answers- it will simply reveal something about your internal thoughts that, until now, have remained hidden. Quickly look at the image below. 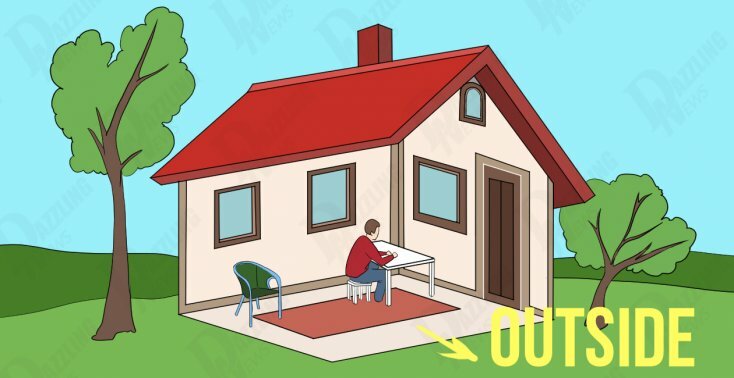 Is the man inside the house, or outside? This means that you are a normal human being who always avoids conflicts at any time. You are the type who would rather find a way for people to get along, and you do not choose sides since you do not believe in “war” (unless it is totally essential). Your temperament is quite complex, and not many people get to experience the deeper levels of your mind or understand you. That’s why you feel out of place sometimes, and communication mistakes are often made. You prefer calm before any irrelevant “storm”. Sometimes you stand out for your sagacity, without knowing it, with simple acts of kindness. Many who are close to you know this, and appreciate how well you listen to them and their problems. You know how to think beyond many adverse circumstances, and you do not let yourself feel defeated when things get tough. If, on the contrary, you see our protagonist on the outside, it indicates that you are a person who appreciates honesty and frankness above all things. A priority that you keep as a treasure, despite what others may think or the problems you can get into, since the truth can hurt. This is why you also have friends as enemies. Consequently, you know how to convey your opinions, ideas, and emotions to others without censoring yourself out of fear; you prefer that they understand you without issue. You do not like to depend on anyone and you think that in order for something to work out, you better do it on your own. However, you value teamwork to reach shared goals in any area. If you persevere you will achieve whatever your heart desires. You are a highly original and creative being. Your imagination never ceases to be on the go, and you make sure your friends use theirs as well. You also characterize yourself for your sense of humor, because your wit often amuses others by punctuating and pointing out the absurdity of life. Even if they are angry with you, you will make them laugh; it is the gift with which you were born, and everyone knows that. Also, you could say that you have a keen eye, a sharp perception to see things as they are. The little details mean a lot in your routine and sometimes you seem “too much” for others, but it is necessary for you to find your peace and harmony. Your empathy is also a strong characteristic, and you can understand your loved ones by putting yourself in their place. Although you are not used to opening up, your true friends love you and count on you for anything. So we have come to the end of our psychological test, we hope that we have inspired or at least entertained you. What do you think? Were you surprised by the information about your personality?